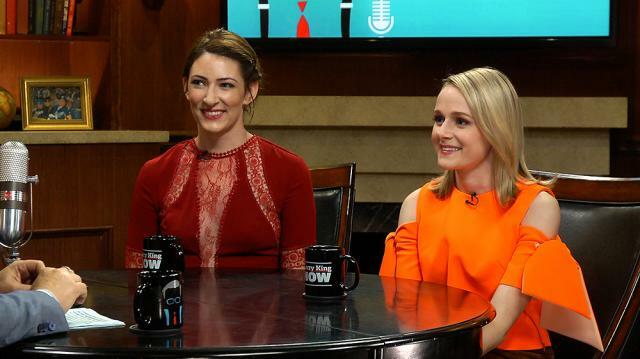 Kevin Pollak fills in for Larry King, hosting Katie O’Brien and Katy Colloton of TV Land’s sitcom ‘Teachers.’ The shows six creators and stars all share the same first name: Katie. This is no accident, as all the women met performing in an improv troupe exclusively for women named Katie. The two writers speak to the show’s premise, a workplace comedy about a group of elementary school teachers with personal lives that occasionally bleed into the classroom. Katie O’Brien reveals her favorite episode of the new season, while Katy Colloton speaks to the execution process. Finally, Katie and Katy speak to their early days performing in Chicago with four other Katies in the group the Katydids. They relive some of the most awkward moments that come with their unique ensemble, as well as their hopes for the group’s future.